The Chevrolet Spark justifies the saying that, “Good things come in small packages”. Crews Chevrolet takes great pleasure in bringing you this compact car in North Charleston, SC. 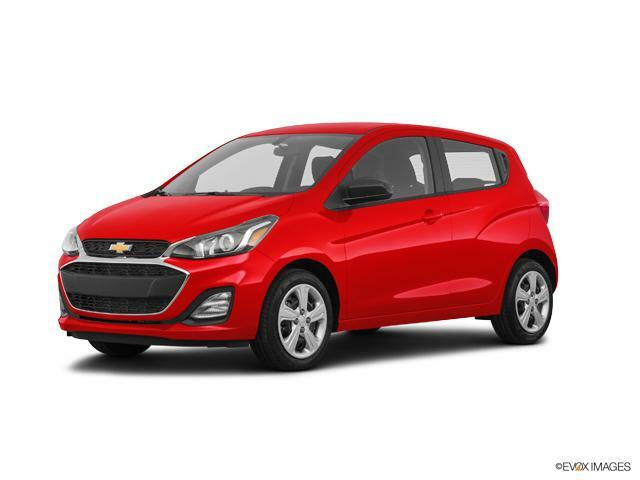 The Chevrolet Spark is a combination of a stylish exterior with a swanky, interior boasting color-coordinated seats, ambient lighting, and more. With its available heated leatherette seats, it knows comfort too. Take a look at the mind blowing inventory of Chevrolet vehicles that we stock. So what are you waiting for? Drop by our North Charleston, SC dealership and make your choice today! You can also make the most of the financing options that are available at Crews Chevrolet. Explore our inventory of new Chevrolet Spark vehicles for sale near Charleston, SC. As your North Charleston Chevrolet dealership, we offer an unbeatable selection of new vehicles at great prices. Whether you're seeking to buy or lease, the sales professional at Crews Chevrolet will work with you to help you get the best deal on a car, truck, or SUV in North Charleston. Questions about one of our new cars? Call us at (843) 480-0041 or contact us online, and we'll get back to you promptly. When you're ready to test drive a new Chevrolet Spark vehicle at Crews Chevrolet, visit our Chevy dealership near Charleston, Summerville, and Goose Creek.